Year round, Heirloomista offers farmstead soaps, beeswax lip balms and other value added farm products. During the summer months I grow for you. Below is a list of produce that will be available. If you do not see something that you want to be getting: no problem! Let me know and I can get it in the crop rotation for you. As your private farmer, I do the growing and you do the eating so it’s important we communicate about your wants and needs. As the season begins you will expect to see salad types of crops like lettuce, greens, radishes, spring onions and young carrots. 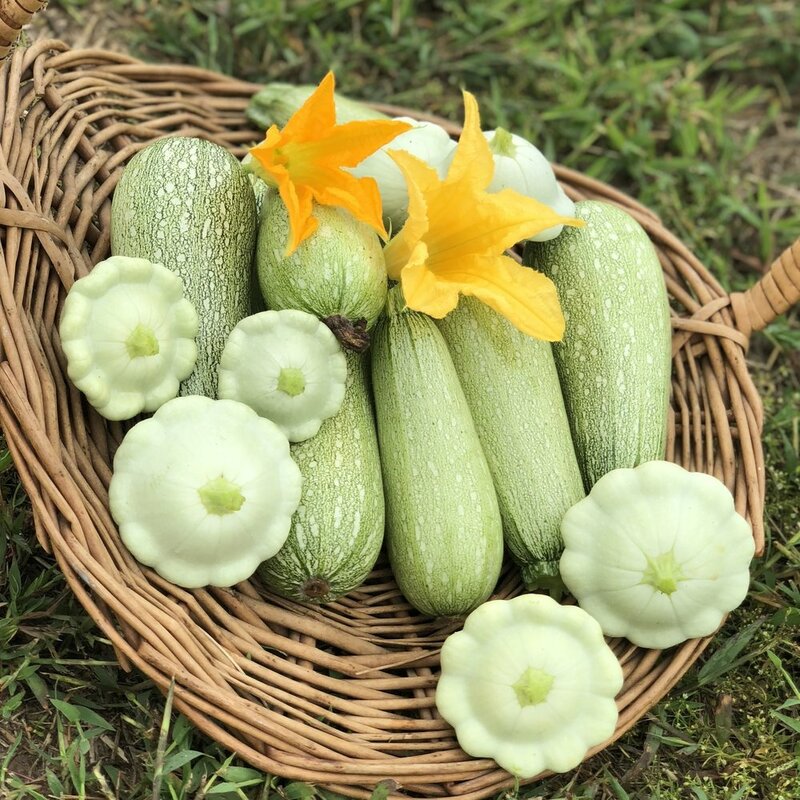 Once we head into late June, the summer crops we all long for like cucumbers, zucchini, tomatoes, peppers and corn will make their way into your deliveries. As the nights cool off the tender crops will still be available but not as abundant. Things like squash, berries, leeks and pumpkins will be available.